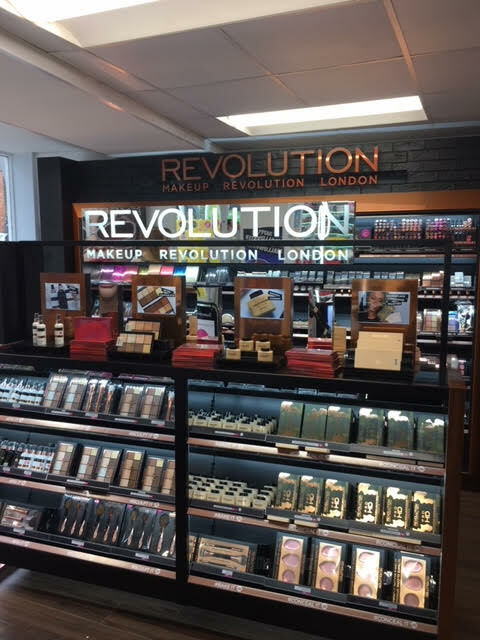 This is just a quick post ( famous last words ) On the new concept for Makeup Revolution and Superdrug that I visited on Friday in the Superdrug store in Guildford, it was a 2 and half hour round trip on the dreaded M25, but I'm nosey and wanted to give you the low down. 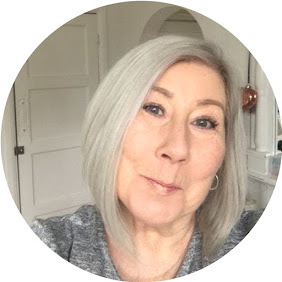 As Lovers of Makeup Revolution and for online shoppers Tam Beauty you will know the range is huge - and I seriously mean HUGE, they are constantly bringing out new items at a lightening rate, so much so there is a new hashtag #Fastbeauty. They pride themselves on being able to bring customers the very latest trends at probably faster from idea to counter than any other makeup brand. I just want to point out at this stage, I do not work for Makeup Revolution, I am not sent items from them to review so this post is purely my opinion. If you are lucky enough to get into this store be prepared to be spoilt for choice, I understand the next opening of this new concept will be at Meadowhall, and if , like me you live in a small town with a limited Superdrug you will know the frustrations of seeing something new from Makeup Revolution on social media, wanting it and not finding it in your store, and literally forgetting all about it, I know that there is an online shopping service, I have used it and have to be honest could do with improvements on speed of delivery, but if I want just the latest item for review, by the time it's been delivered my mind is elsewhere and it is no longer news worthy. These new Store in a Store spaces are fantastic, the display is mind blowing and you actually get to do the touchy feely thing with all the latest releases, which is something we all love to do with makeup, it's stylish spacious and dangerous! trust me you will want everything ! On the opening day there was an offer of a bag of goodies free if you spent over £15.00, well.............yup I did. I have photographed the bits I bought as these were the things I specifically wanted to try. I have been desperate to get my hands on the Renaissance Palette Day simply because I cannot believe the value for money ! Seriously it has packaging to rival Dior and for that reason alone I wanted it, along with it's night time sister palette it's the first time I have seen such phenomenal packaging from the brand, so of course had to own it. I may at some stage blog these items if time allows, but for the meantime I hope my pics do them justice.